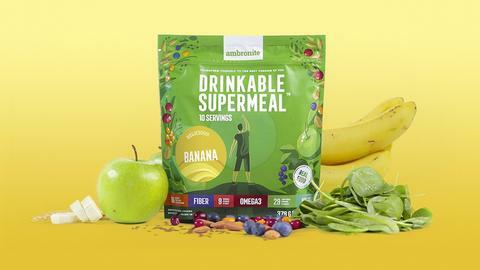 A quick review of the Banana flavor of Ambronite. It’s less sweet than Berries. In a very good way. Now that I have been updated with the correct amount of Ambronite to add, the texture is pretty much spot on. The flavor is slight, the same with the smell. I made the unfortunate error of placing my green shaker into the dishwasher and the bottle opening is now slightly warped. I have another on order. It leaks a tiny bit at times. Kudos to Ambronite for addressing the flavor. Huel I still prefer, but I don’t need to choke this stuff down like I did a year or two ago with their previous formulation.